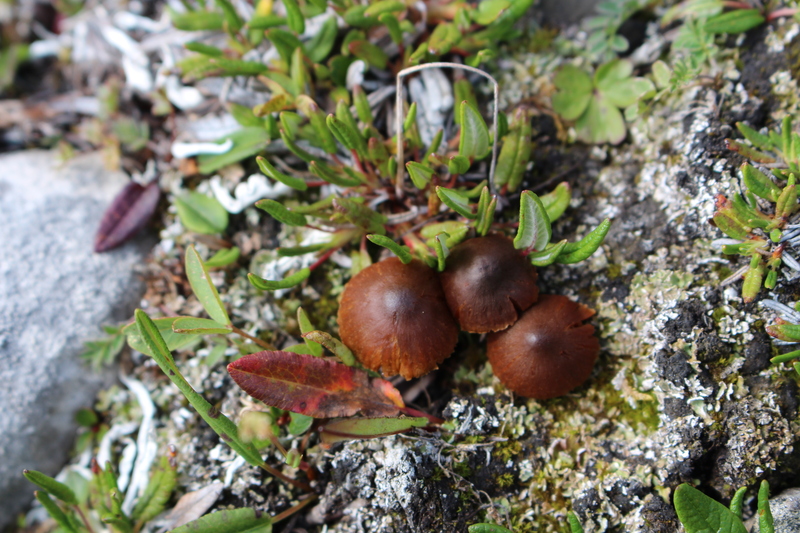 I did not know mushrooms grew at such high elevations, but they do! 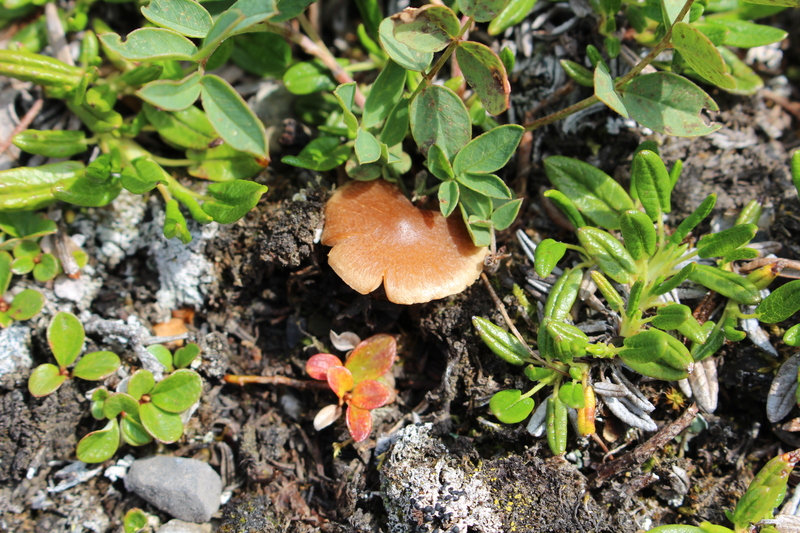 While up there wandering around at about 6000 feet one of my tasks was to look for mushrooms. 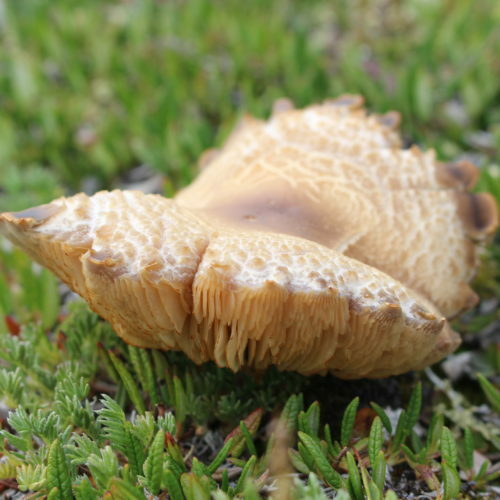 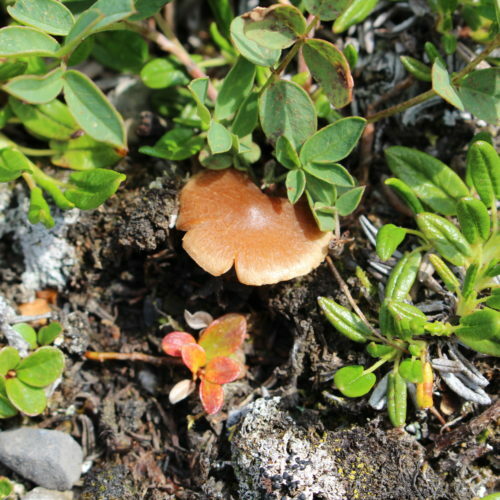 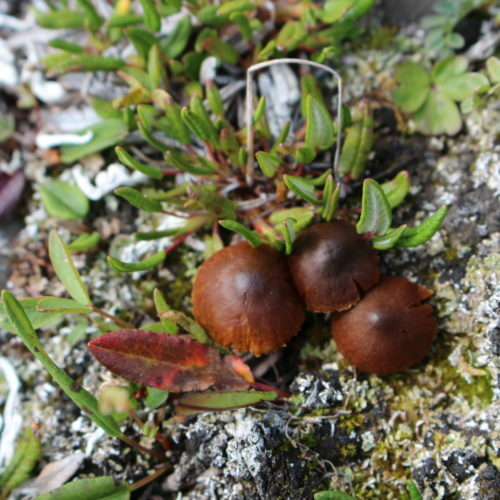 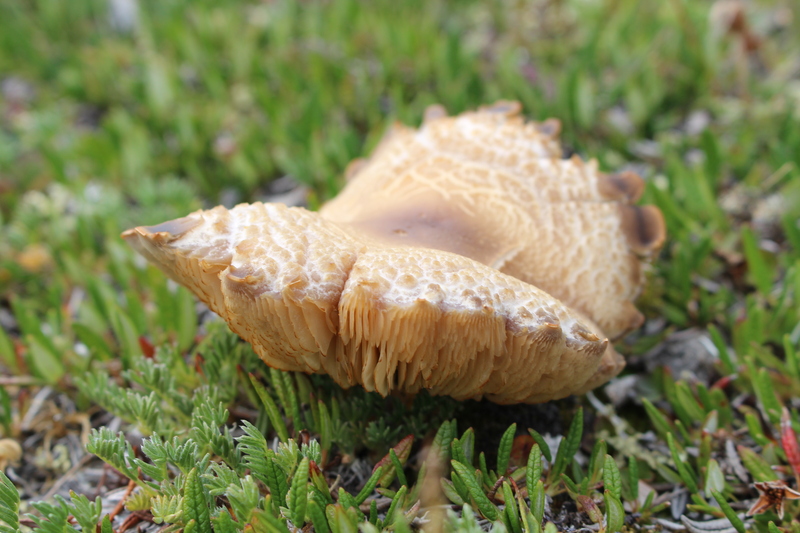 Mushrooms in the alpine have not been studied much at all in BC, but mycologist, Dr. Shannon Berch, Research Soil Scientist at the BC Ministry of Environment is on it. 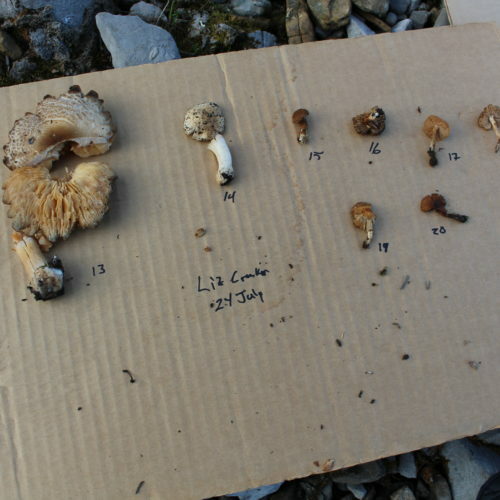 For every mushroom I found and photographed, Dr. Ken Marr took a sample, and bottled it to be sent to Dr. Berch for study. 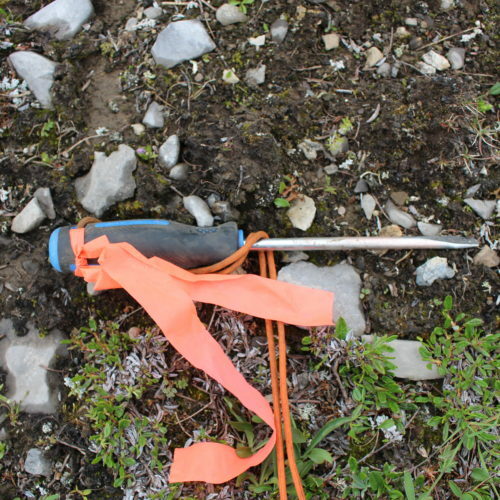 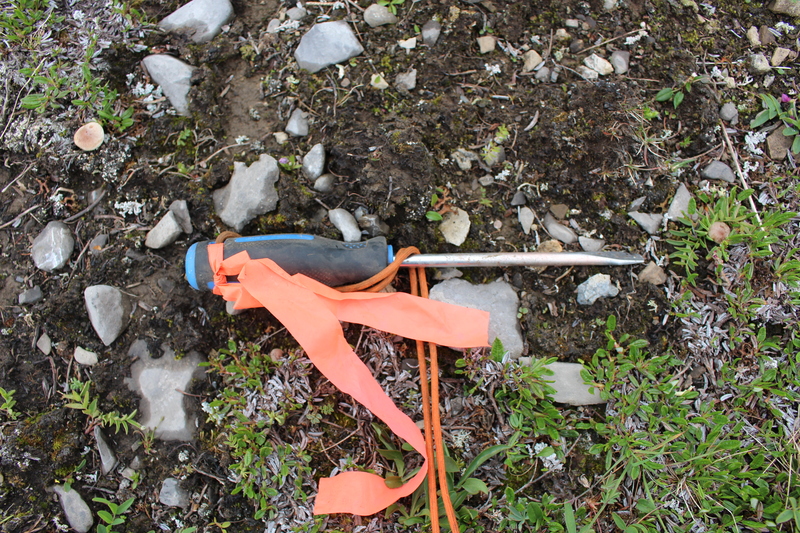 Plant Extractor (aka screw driver) showing scale of some alpine mushrooms. 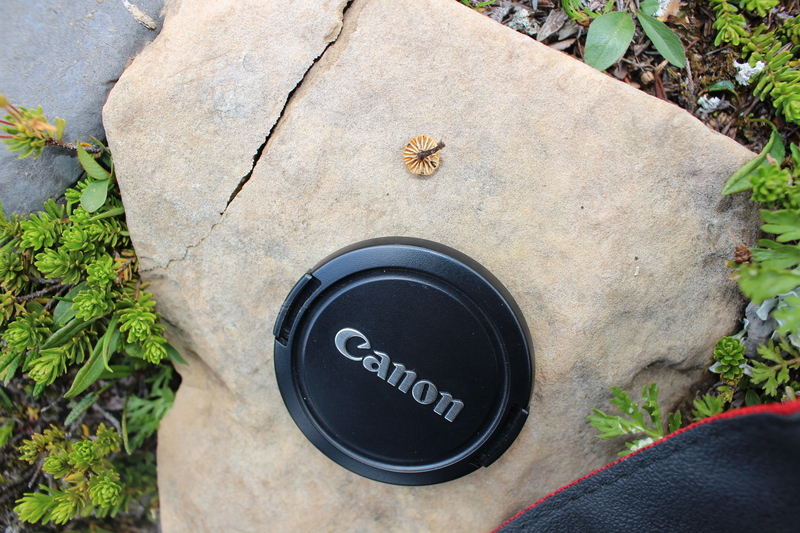 Tiny mushroom and the last time I saw that lens cap. 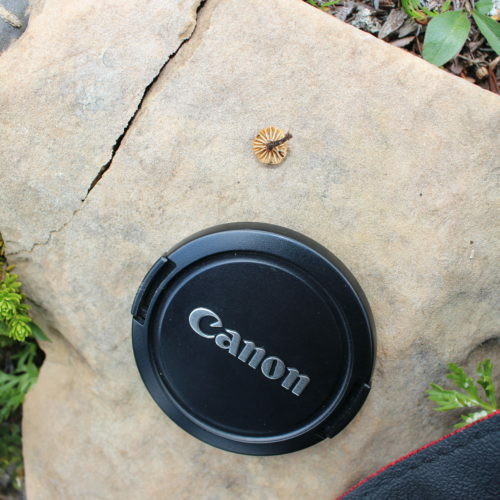 It’s somewhere up there still. 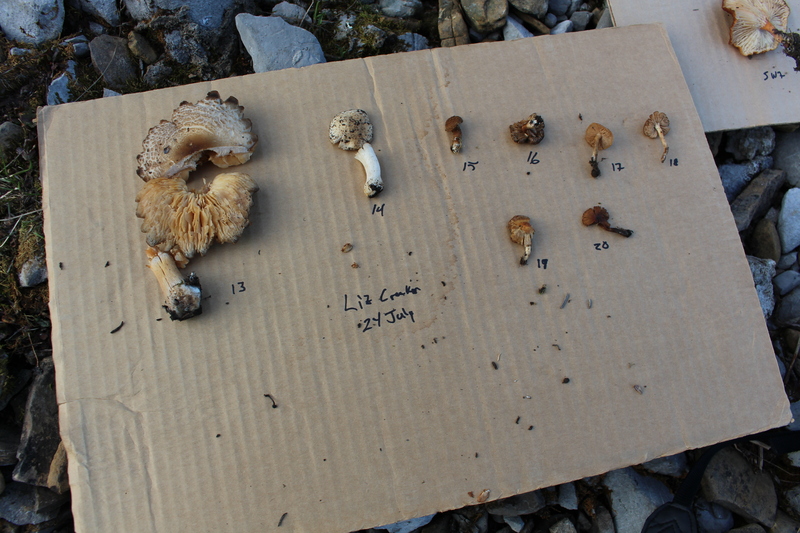 Samples of the mushrooms I collected were sent to Dr. Shannon Berch, Research Soil Scientist at the BC Ministry of Environment.